Funnily enough, I had the same thought as reader Damien Carroll (Letters, Irish Independent, March 19), but then the alarm clock sounded and I woke up. 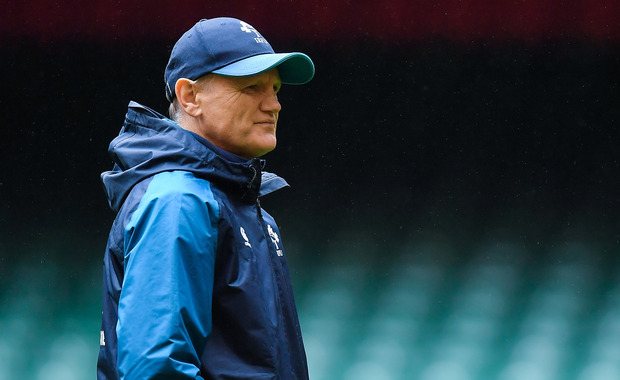 Any credence given to Joe Schmidt’s Machiavellian strategy was immediately discounted upon seeing Wednesday’s picture of Schmidt. What he (and all of us) witnessed at Cardiff last Saturday was indeed “hair-raising”. Time for somebody to tell Joe that he’s not infallible, merely a genius. Also it’s time to cease worshipping at the feet of Sexton and Murray. A star is only as good as his last game. When that has been pounded into the skulls of these two lads, they will soon return to their original brilliant form, but we must stop idolising them. I think all the O’s would agree. No need to mention who all the Great O’s of Irish rugby have been. The House of Commons represents the people. The people voted by 52pc to 48pc to leave the EU, a slim majority. Why then are we surprised at the apparent impasse in the Commons at present, especially as political games are being played by so many factions inside and outside the governing party? Perhaps more than a simple majority should be required in future referendums. I was wondering am I alone in thinking that the Government’s recent proposal of having elected mayor titles for our cities is not only unnecessary and wasteful of funds, but also shows the same pattern of following in the UK’s footsteps. What are they thinking? That Boris Johnson was so popular as an elected mayor of London that this format could work here for would-be politicians to build up a suitable profile and perhaps a stepping stone to higher office, maybe even President? Or could it be they have planned a last resting station for those soon-to-be-retired politicians who have given their all to public life, spent and worn out, but yet so dedicated that they will manage one last term as mayor, if, and only if, the good people vote for them, of course. What sacrifice, a true public servant. Perhaps I am too simplistic and it has nothing to do with jobs for the boys and girls. Instead it is just another planned voting distraction to keep the people busy, thinking they have a say and are changing things, hoping to make the country work. If I were a member of Dáil Éireann and I put a motion forward that all citizens must wear Leo Varadkar T-shirts to work on Tuesdays, no doubt it would be voted down. That is how it works. If I came back week after week with slight amendments to that proposal, eventually I would be taken aside and asked to ‘drop it’. Rightly so. You can’t keep coming back to parliament with the same proposal week after week, just to watch it fail. The British speaker of the House is well within his rights to tell the British prime minister: Enough! Otherwise, we could hypothetically go on forever asking the Dáil to vote on the motion requiring every Irish citizen to wear T-shirts with Leo Varadkar’s photo, and nothing else would get done. There has been a lot of comment over the past week concerning the latest Democrat to throw his hat into the ring for the Democratic nomination for its presidential candidate. Beto O’Rourke wowed the mid-west voters in his foray into their unknown land, albeit mostly Republicans. Beto raised $6.1m (€5.4m) for his campaign in 24 hours. Beto is the good-looking equivalent of Jack Kennedy or Justin Trudeau, but of similar centrist, millionaire, big-business values. In short, O’Rourke is of what Noam Chomsky refers to as the donor class. That is, the subscribers and recipients of monetary, and other support, to enable both to continue to dominate and control the USA for their own continued benefit. The Kennedy family, the Bush family, the Clinton family, Reagan, Carter. Isn’t this precisely why America voted in Trump as president? Is it asking too much of the American people to understand their own history and open their eyes to the progressive political strands of the Democratic Party gathering increasing speed. Would that these changes were taking place in our own politically regressive and moribund country.